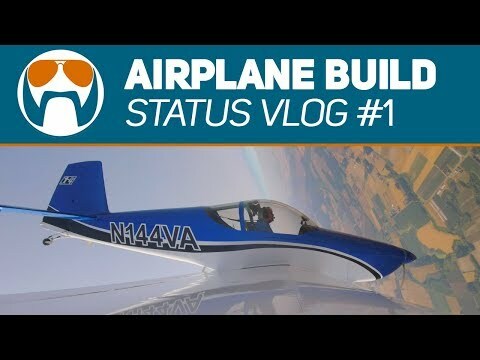 This video is about FC-Build-vlog1-V6~20 years carrying a photo of a Van’s Aircraft is about to get real! Visit http://www.FlightChops.com for behind the scenes and monthly GiveAways! I can’t wait to share this series with you! Stay tuned by following @flightchops on Instagram as well for realtime updates. Thanks to Jackson for helming shoot this one. I am a &quot;weekend warrior&quot; private pilot, I fly for fun with no intentions of going commercial. I have had my PPL for over 15 years, but still consider each flight a learning experience - I generally take detailed notes after each flight to remind myself what went well or what I could do to improve.... Having the GoPro cameras to record flights like this is invaluable. I find these self analysis videos very helpful in my constant quest to improve, and am happy to share. Feedback is invited; however, please keep it positive.